Sean enjoys teaching students to have fun singing and playing songs, as well as learning to read notes and tab, and to understand and apply music theory. 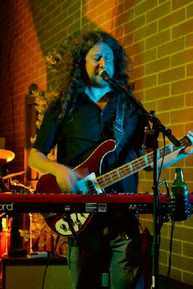 He is well versed in Classic Rock as well as Blues, Reggae, Alternative, Folk and Bluegrass. Sean taught at the Herb David Guitar Studio from 1994 until Herb retired in 2013 and has over 30 years of performing experience playing a wide variety of instruments and styles. He was the lead guitar player and vocalist for the longtime local jam band Deep Space Six.